Registration is now open for this long running tournament. 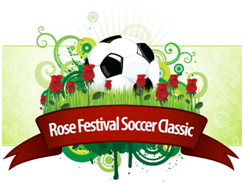 Formally known as the Oregon Classic, 2013 will bring this tournament into the Rose Festival Fleet of Activities. The tournament is the same, only the name has changed. The tournament will run May 25th-27th, 2013 which is Memorial Day Weekend. Registration will be open to a couple new divisions, the U-18’s and Over 60’s. View all the information on this tournament from hotels, rules and other information by clicking here. The 2013 USASA National Veterans Cup soccer tournament will again be in Escondido, San Diego County, California, June 25-30! Each team member must be 50 or over as of December 31, 2013. Once again it will be held at Tualatin Hills Rec Center great soccer complex in Beaverton, Oregon. Each year Juan de Fuca FC puts on the best soccer tournament within the Greater Victoria and surrounding area. This event takes place during the final weekend of the summer vacations, “LABOUR DAY” (1st weekend of September). Past tournaments involved teams from Victoria, Vancouver Island, the Pacific Northwest, the Interior, and as far south into the United States as Southern California. The facilities that they hold our tournament on, are one of the best within the Pacific Northwest. There are three (3) beautiful side by side grassed soccer pitches to play on. We have also included an aerial view of the Juan de Fuca Recreational Centre facilities. The soccer fields are well manicured (thanks to the groundskeeping staff) and there are other facilities for you and your family. And yes, there is a beer garden. This is the "Drinking Club with a Soccer Problem" that we took our motto from. This tournament will take place at the Francisco Grande Hotel and Resort in beautiful Casa Grande, Arizona. The Columbus Cup in Arizona categories are over 48, over 55 and over 60 with no ringers and they are also open for registration. This tournament is run by the same guy who puts on the Las Vegas King Cup. It’s held at the “Winter” camp location where many MLS teams go to train. Great golf course, swimming pool, and bar right on site!